I have searched this forum for comments about this guide and it seems nobody has ever talked about it. 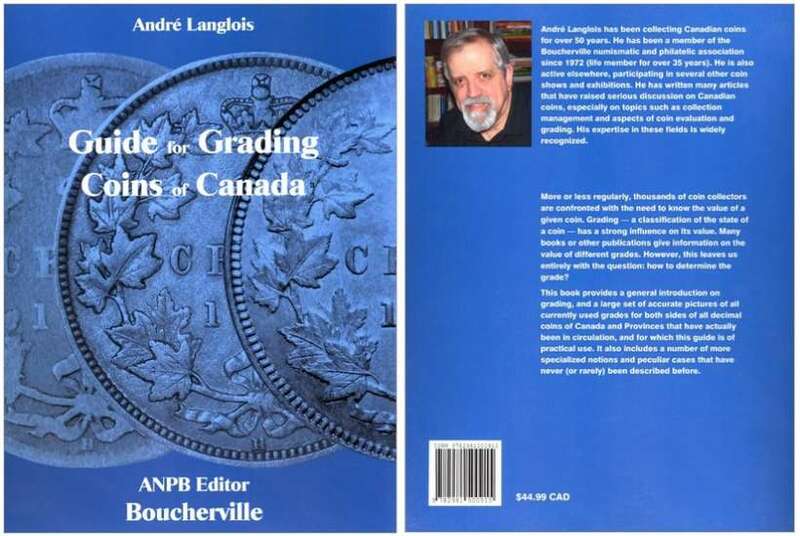 "Guide for Grading Coins of Canada", by André Langlois, was published last year. The English version was first presented in July 2015 at the RCNA Convention in Halifax. The publisher sold all 200 copies they had. I had to wait until October 2015 to get mine as I wanted the French version. This is the most comprehensive guide I ever saw about grading canadian coins. The guide has high resolution pictures of all circulation coins from 1858 to 1989 with a clear description for grades AG-3 to MS including mid-grades such as G-6, VG-10, F-15, VF-30. As a newbie, my coin grading skills have improved a lot in the past year and I am now more confident when buying, selling and trading coins with other collectors. Don't let the 45$ price tag stop you. These 170 pages worth it. If you already own this guide, please post your comments.